Just finished this painting. 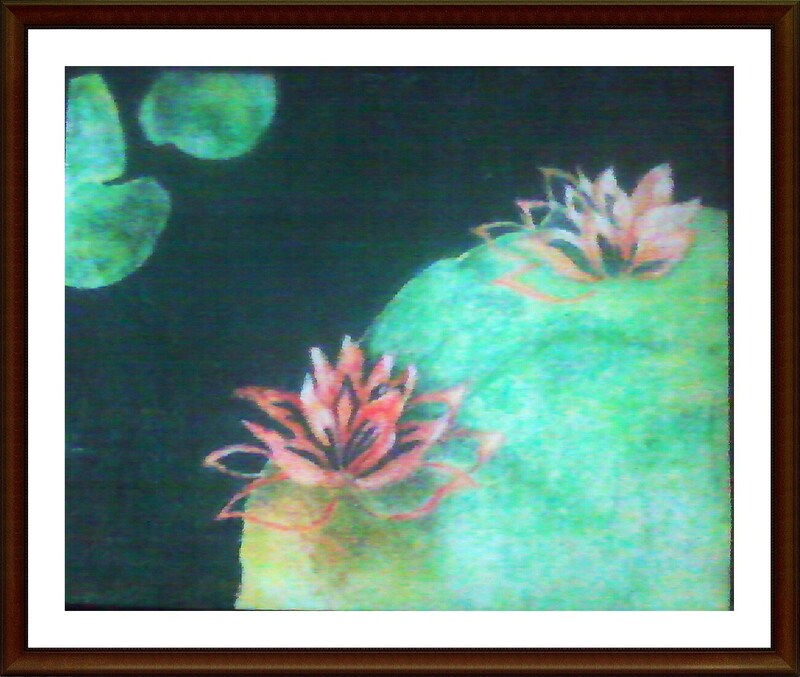 I used soft pastel colors though I used these colors first time.....result is I think good. Happy weekend and stay creative friends!!! Lovely Lotus, loved the painting. Keep painting you are very good at it. This is beautiful, peaceful colors and lovely composition. Now I am waiting to see that big Buddha painting. I hope you keep painting, too! @Carlarey: Thank you!! I alreday have done Buddha painting you can browse through my blog. @Mary C. Nasser: Thanks a lot. I am glad that you liked my work and thanks a lot for connecting. Gorgeous, do not put your brushes away ever!!! Have fun with the show too! HPPF!